Are you the girl who’s been dreaming of that horse drawn chariot, the enormous, designer ball gown and Prince Charming himself standing at the end of a long, golden aisle adorned with intricate flower arrangements on your big day? Maybe you dreamt up a few outfit changes and an extravagant honeymoon to tack on. Then you grew up, reality hit and jaded your fairy tale. Fear not, it is possible to still live out your childhood vision without breaking the bank. 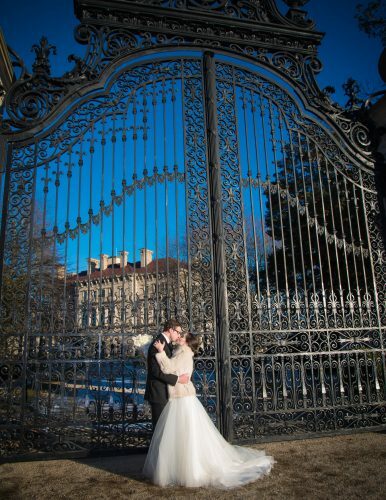 Newport Wedding Magazine has all of the insider tips and deals for budget savvy brides with big dreams. While Newport is known for its summer happenings, don’t underestimate its winter and shoulder season charm! Snow covered lampposts, powdered cobblestones, twinkling lights, and elegant mansions all contribute to the winter wonderland that is the City by the Sea. The most magical part of all? The off-season deals you’ll find on venues and vendors. 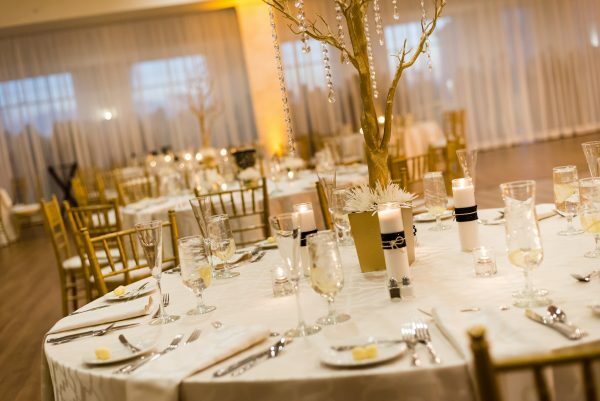 Venues that offer off-season deals include OceanCliff, The Atlantic Resort, and many more! Newport County has several consignment and vintage shops including Closet Revival, Wish Newport, Corner Consignment, and more. If you’re lucky, a previous Newport bride dropped off their gown, or their bridesmaids brought their dresses and accessories. 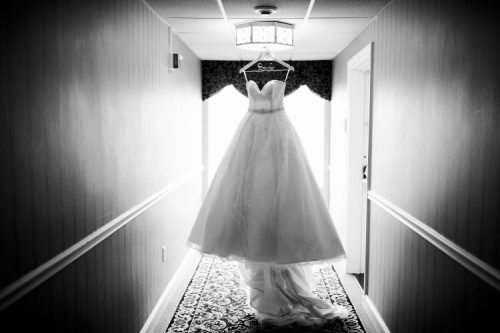 Opt to spend your cash on alterations, rather than purchasing a new dress or dresses, and save big on the bottom line. Here’s hoping we can find a dress like Jennifer’s in a shop around here soon! Many bakers will create a real top layer the way you like, and then believe it or not, the rest of the cake is actually Styrofoam or cardboard. 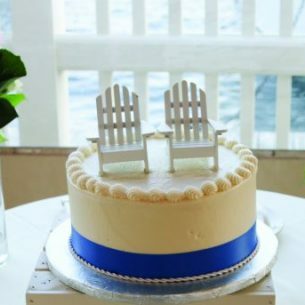 The baker creates much cheaper sheet cakes to serve your guests, which drastically reduces your bottom line. Or let Aly & Liz, one of our Real Weddings couples in our 2018 issue, inspire you. 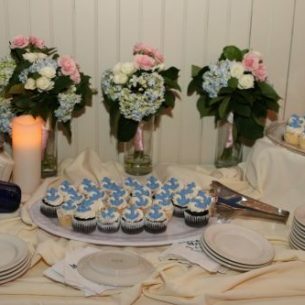 They had Fatulli’s Bakery in Newport create this small, yet perfectly nautical cake for the traditional cake cutting, and provided cupcakes for all of the guests, a cheaper alternative to a fully tiered cake! If you have any creative abilities, now is the time to utilize them! Create your own details, from the gift table, signage, flowers and possibly even centerpieces using crafts and plants from Chaves Gardens, Waters Edge Flowers and more. 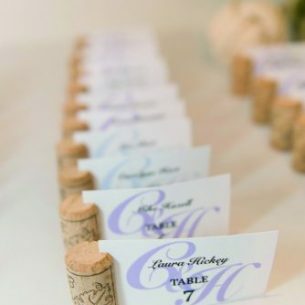 Another one of our Real Wedding couples, Annie & Jake, made the manzillo tree centerpieces at their celebration, pictured below. 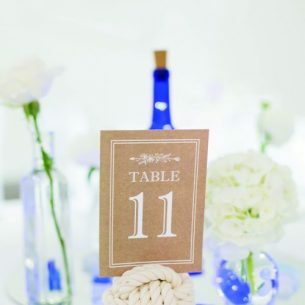 After your wedding, don’t get stuck with decor and more. Your big day might be over, but someone else is still planning. Budget-savvy brides are constantly scouring through Craigslist and Facebook Marketplace in your area. Why not take advantage and sell your used goods so that someone else can have something special? (Hello honeymoon budget!) While some items are likely keepsakes, small accessories and details like the ones below are always in demand. How did you save on your big day? Let us know in the comments!